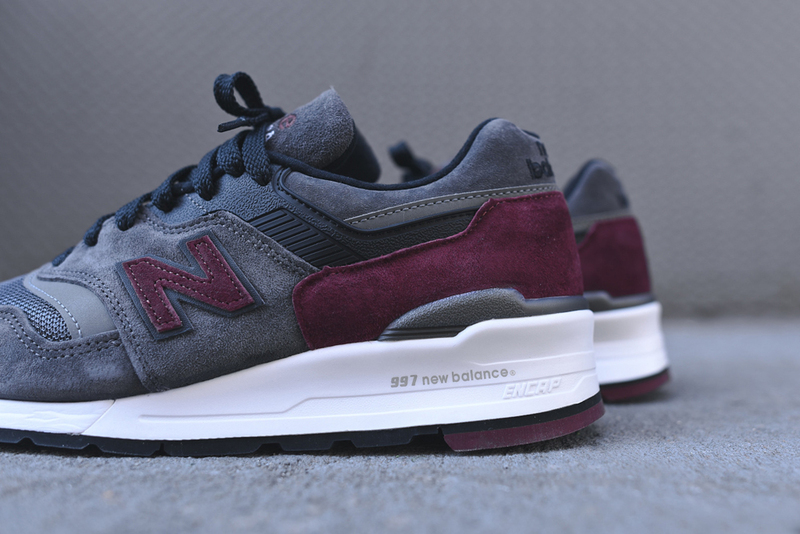 They even come with a pick. 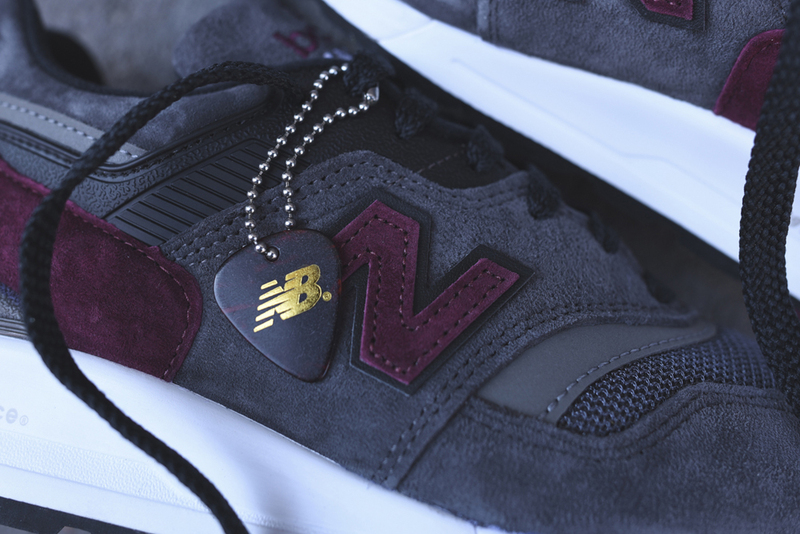 New Balance's guitar-inspired sneakers have been less transparent in their muses than the book based pairs of last year. On top of that, the various guitar designs and models being referenced aren't as well known as the as various classic novels nodded to in the "Connoisseur Authors" pack. But all the pairs from the group do come packaged with a pick, ensuring that the theme doesn't go lost on anyone. 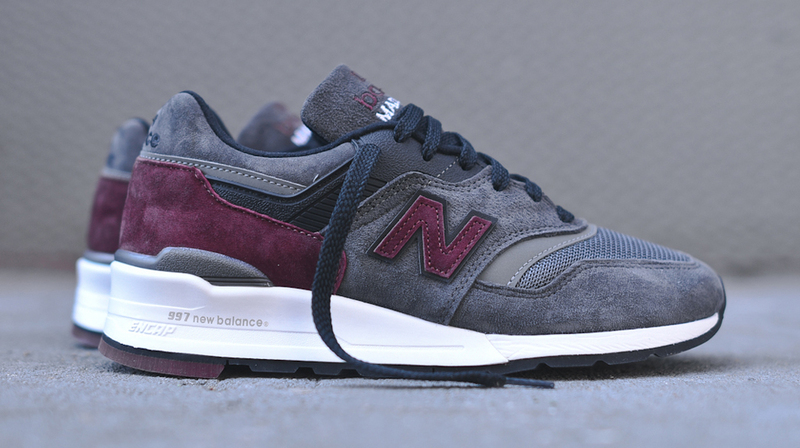 This New Balance 997 with its burgundy and lead colorway is no different. 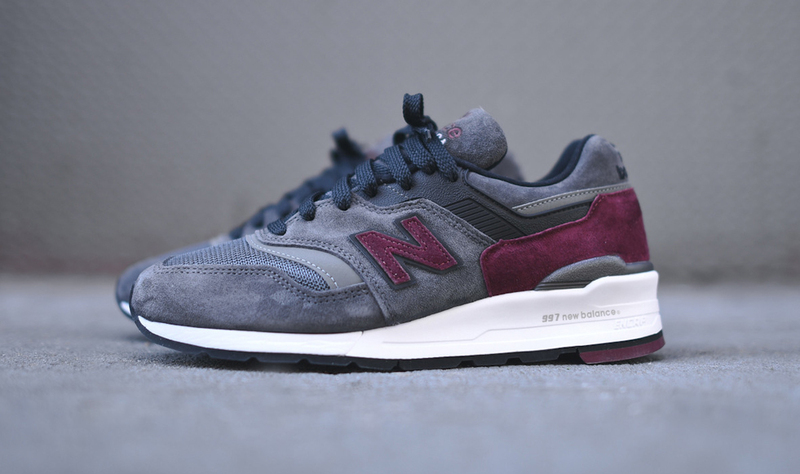 The New Balance 997 from the brand's "Connoisseurs Guitar" collection is available now via Kith.